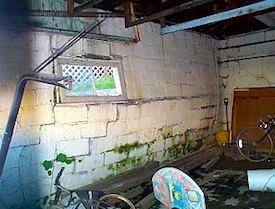 Foundation repair can consist of multiple processes and multiple tools. Depending on the severity of the damage done to the foundation, a simple fix could be required, or a more sophisticated approach may be needed. Having the proper to knowledge to repair cracked or damaged foundation is only part of the remedy, the other part is having the right tools. Below I will list 5 tools we recommend using when repairing your foundation. 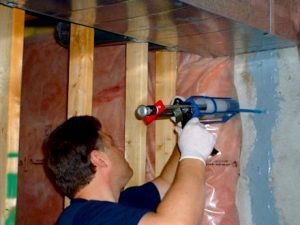 If you are not a DIY individual and do not intent on repairing the foundation yourself then consider hiring a foundation repair contractor. If there is a crack in the foundation, you will need to inject to properly fill the crack. It’s possible that while injecting you will notice that the injection solution is leaking out the other side of the wall. If this is the case you will need to seal that side up before proceeding with any more injections. Sealing the other side will also prevent water, insects, rodents, and any other exterior element from penetrating the wall barrier into the interior of the structure. Identifying what solution you want to inject into your foundation will be extremely important. Various solutions provide various results and depending on how you want the foundation treated this will be important to determine. Do you want a flex in the crack or are you looking for a more solid result that doesn’t allow that foundation to move? There are injection solutions on the market for everything. Some solutions will react with water, while some expand in water. Some will stop water, while some react and bond with it. Contact your local hardware store and ask an expert for assistance when purchasing your injection solution. Carbon fiver is commonly used in foundation work, both for new structures and for the repair of existing structures. There is carbon fiber mesh material and carbon fiber sheets on the market for whole wall repair, and carbon fiber staples for crack repair. Carbon fiber is a great tool to have and works best in conjunction with other foundation stabilization products and systems. If you conduct business or live in a region with concrete block foundations, you will need to have a solution for bowing walls. There are several systems on the market that accomplish the same thing, however personal preference comes into play for most of it. Typically to repair bowing walls you will want to choose an interior steel beam system or an exterior wall anchor system you should have a solution to fix bowed walls. Underpinning is an important skill to have when repairing foundations. Make sure that if you are offering underpinning to your list of services that you have the proper training and certifications in place for you and your employees. Every manufacture offers proprietary installation instructions and training for their products.